Personal knowledge of this very real truth came several years ago when the West Virginia State Board of Ed decided that scoring/evaluating student writing would best be done electronically rather than by actual English teachers. Remember the writing assessment? Every summer one hundred teachers from around the state camped together in some pre-destined place of comfort for a week of unbiased "grading." Not only did this offer a much needed stipend for the participating teachers, we learned a great deal about the students of WV, we formed a kinship of like-minded people, gained insight into what we needed to do as instructors to improve student writing, and ULTIMATELY offered a first hand, personal assessment. But then the 20th century turned into the 21st and computers took over. OOPS! Let me get off my soap box and get back on topic. Of course you do. An advanced degree in English is not necessary to understand the semantics of this heading. Of course, I do NOT like MS, but I do like the posts offered under that search topic. Begin with about five repetitions until you familiarize yourself with the movement and youknow how far down you can slide and still push up with good form. If your knees bother you, don't slide down as low. So, even with it's obvious lack of human editing, Pinterest is a very human tool. Whoa! Another irony??? What I do NOT find ironic about Pinterest is it's absolutely profound wealth of information...about any topic imaginable. Choosing a treatment for my MS has been rather taunting, especially since on my first go-round of disease modifying drugs I was not really offered much of a preference. Not that I'm complaining. The summer I was diagnosed is still kinda sketchy in my mind. If they had told me the best medical treatment for me was swim naked twice a day in a tub of ice water, I might have considered it. But, now that I have a choice, the responsibility has become immensely heavy on my brain and after being "drug free" for three years, I refuse to avoid it any longer. As I notice an alarming progression my condition, I am reminded daily that the ball is in my court and waiting for further instruction. With that said, I have finally decided to go with Gilenya. 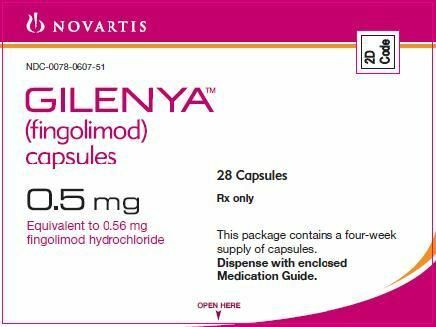 I do not plan to preach the merits of this or any other drug (they're all bad), but I believe the deciding factor is that Gilenya is the first FDA approved therapy for pediatric MS. I mean...who would administer a drug to child if it wan't a positive thing? After much debate, I have decided to use Gilyena. It is the only FDA approved medication for pediatric MS use. No, I am not a child and, yes, I realize that; but who would give a child something as invasive as a modifying medication if it wasn't safe. Please don't argue with me here. I've had all the indecision and conflict I can take for this decade. Besides if I continue to weigh my options, another century will have elapsed. It's time. So, all will be fine. Every MS treatment is a leap of faith and I am truly a leaper. The only true experts on multiple sclerosis are the Warriors and without our constant experimentation and medical cooperation, the folks with the actual degree cannot proclaim "Mystery Solved".